Let’s face it, steering clear from that Halloween candy can be difficult. 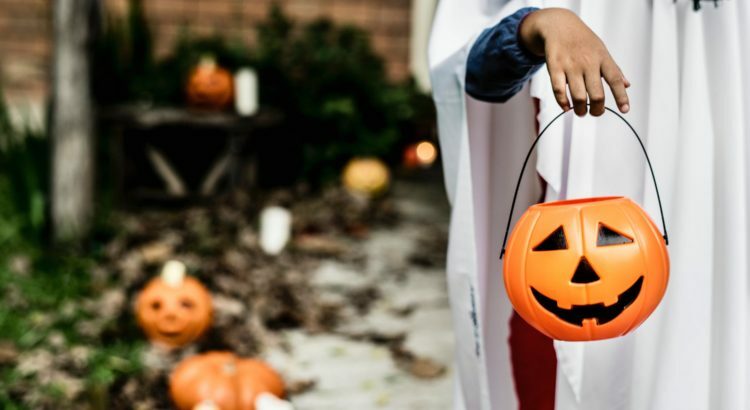 More often than not, despite the dedication and motivation to lose weight, we might find ourselves sneaking in on or two pieces of candy while we wait for those trick or treaters. We won’t beat around the bush here – we have come up with the “best” and “healthiest” options for when you bend the rules this Wednesday night. If you’re a fan of the m&ms, aim for the peanut ones! Not only are they tastier and crunchier than the original chocolate ones, but they also contain more protein than most candies. The peanuts in the candy provide about 2 grams of protein per fun size pack! However, it also comes with 9 grams of sugar, so keep it moderate and limit yourself. 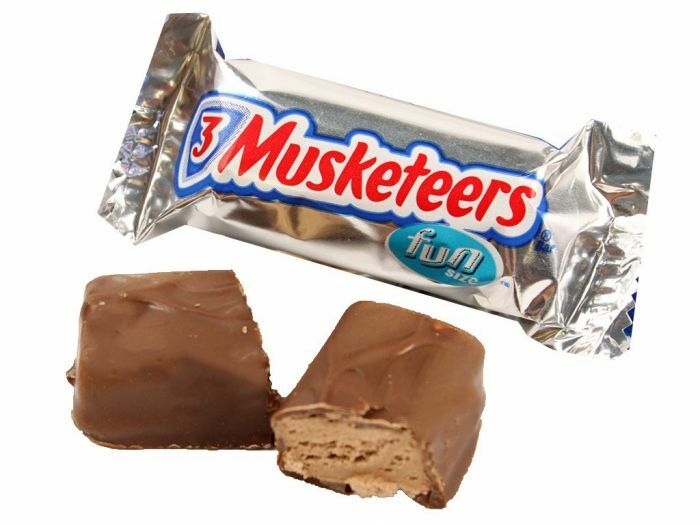 This deliciously light and fluffy chocolate bar is famous for advertising its indulgence by stating that it contains 45% less fat than the regular candy bar. This bar is relatively lower in calories than most of the other treats; coming in at 63 calories per fun size candy, this bar also contains about 11 grams of sugar. 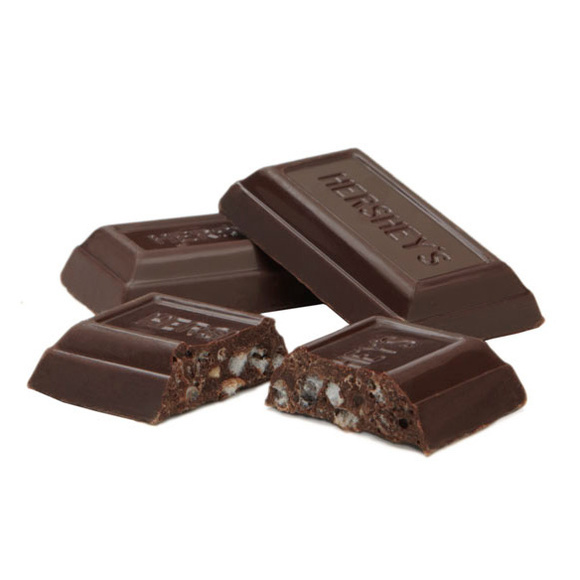 If you haven’t heard the news yet…dark chocolate contains antioxidants! This has been studied to actually help reduce stress. However, keeping this in mind, dark chocolate in candy bars usually contain more sugar that can unfortunately outweigh the antioxidant benefits. But for the sake of this spooky holiday, 2 mini Hershey’s Special Dark miniatures contain less than 90 calories and can give you a small boost of antioxidants. If you opt for a more fruity candy than the chocolatey indulgent options, this pick is ideal. 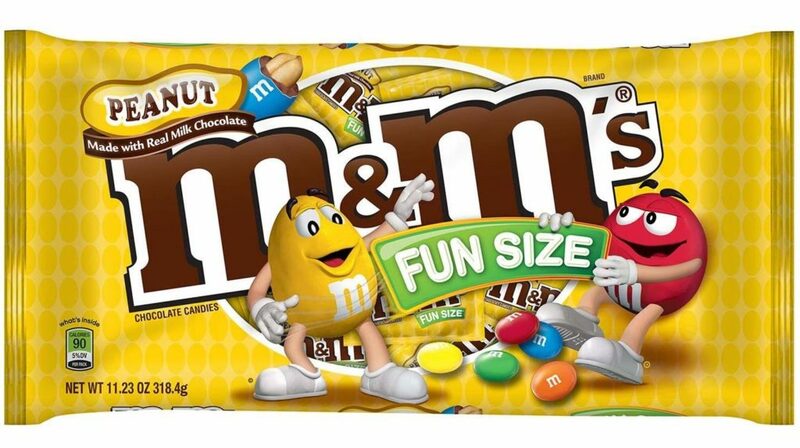 One fun size packet contains 0 grams of fat and less than 50 calories. 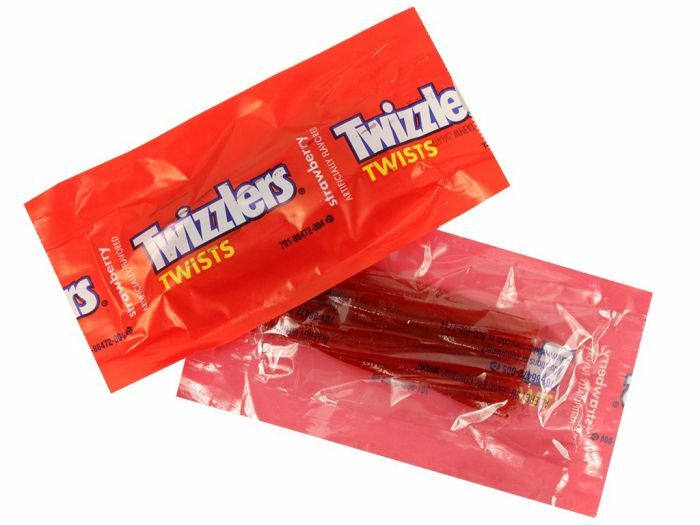 Luckily, when it comes to this candy, one small fun size pack comes with two small Twizzlers that are sure to satisfy your sweet tooth. This fun candy contains about 6 grams of sugar. Brace yourself, this one might be our favorite due to its nutritional profile. However, it may not be much of a surprise given that this candy bar is made up of mostly peanuts. 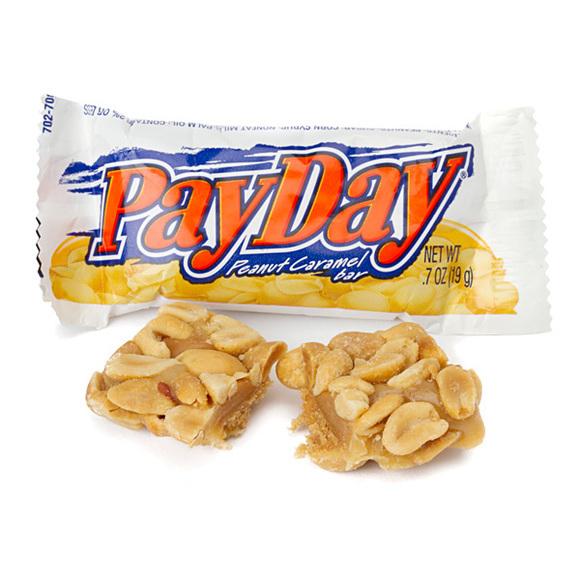 One snack size Payday comes in with her 2 grams of protein and 1 gram of fiber. But don’t go and replace your protein bar with this indulgent candy, it also has about 8 grams of sugar and 5 grams of fat per snack size. 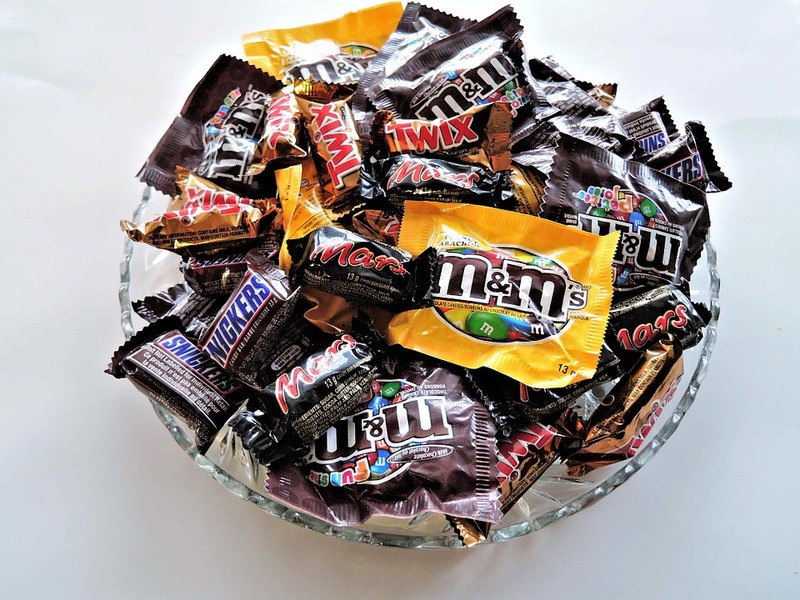 We don’t recommend having a free for all with these “healthier” choices, but we can definitely understand that temptation of creeping your hands into that candy bowl. Keep yourself on track all day and treat yourself with one or two pieces this Halloween and save those spooky tricks for another day.